Our teak trolley is made from solid unfinished Teak. The grade of Teak is BC, which limits the amount of knots found in the wood. 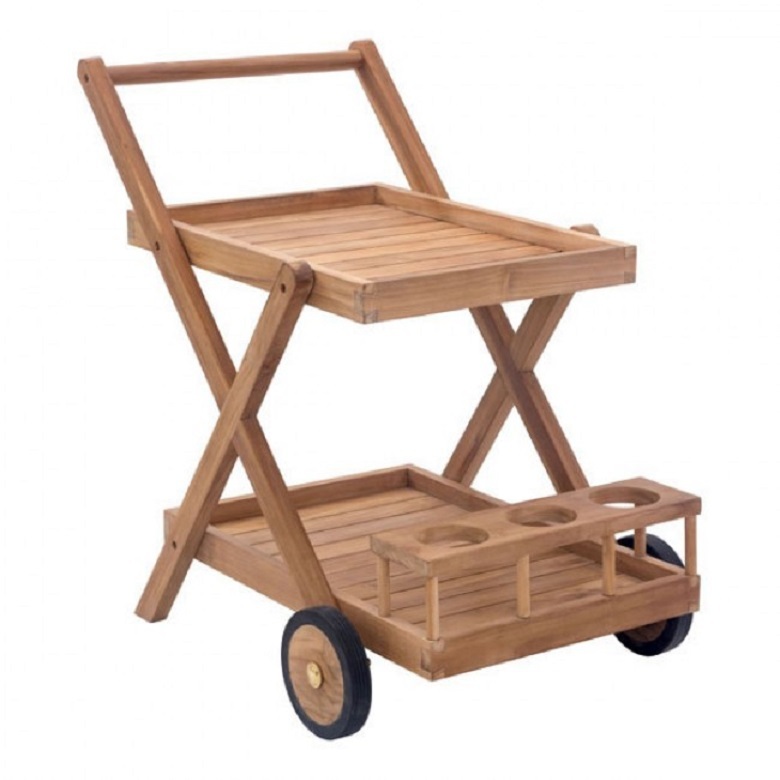 This trolley lets you serve your guests in style with the convenience of mobility and space.